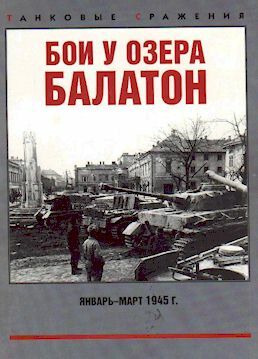 "The Battle of Lake Balaton 1945"
Price: £11.95 in the UK and it is now available from Pol Models or other specialist book dealers. Advantages: Great quality, newly published photos; English-language captions. The book is printed in A4 portrait format on good quality paper. It has 80 pages crammed full of black and white photographs with English captions. There are also several tactical maps showing the progress of the battle and the end pages are lists of something. However, until I get a translation I will not stick my neck out byt providing a description! So exactly what do you get for your money. The book is the record of the actual counting and marking of all vehicles knocked out in the battle with all the hits recorded and marked on the tanks. It is a fascinating record and is meticulously laid out. It has 187 high quality photographs of the German Tanks destroyed in the battle. There are lots of surprises. For example. the Germans were still using Matilda 2's at this late stage of the war. The real strength of the book is in its photographs and the actual record of the types used and the damage inflicted on them. It will form the basis of many a good diorama. Newly published photographs may cause some German armour camouflage experts to eat their words. Good examples include the tanks on pages 66 top and middle photographs of Marder 11. This camouflage would do Mattise or Picaso proud. Page 70 shows a late version Panther G in a Tree and Leaf painted cammo. Unfortunately it is hard to determine the exact colours used from the black and white photo. For those who study German Tanks this book is going to be a gold mine of reference material.. Those who build models will do well to study very closely the actual damage a shell does to armour. I have no hesitating in recommending this book and it rightly deserves a place on the reference shelves. It will give many hours of enjoyment. I know I will be using it time and time again. My only real criticism about this book is that had the full text been written in English we would have been able to read about this neglected and it seems important battle. For this reason I cannot give it top marks. Nevertheless, go out and buy it now for its photographs and new colour scheme information. Bought on the open market.